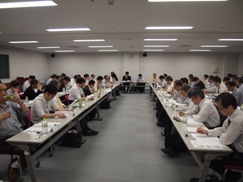 The 2012 Second Meeting of of Tokyo Section Executive Committee was held on Tuesday, July 10, from 15:00 p.m. at Shiodome City Center, Tokyo. 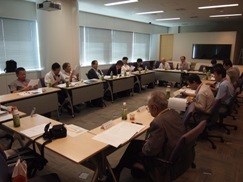 The 2012 First Meeting of Japan Council Chapter Operations Committee was held on Thursday, May 31, 2012, from 2:00 p.m. at Japan Society for the Promotion of Machine Industry. 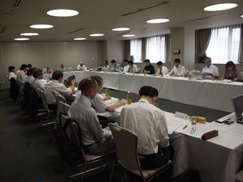 The 2012 Second Meeting of Japan Council Executive Committee was held on Friday, July 27, 2012, from 2:00 p.m. at TKP Sapporo Conference Center Kyousai Salon in Hokkaido. Next, from 4:10 p.m., a round-table conference was also held and Prof. Ogawa, Chair of Sapporo Section, introduced this Section to the attendees. After the meetings, a social gathering was held from 5 p.m. in the same place. 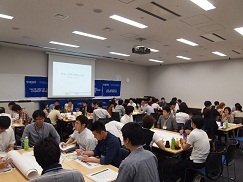 On June 23, 2012, the 7th Development Workshop for Young Students and Professionals was held on the campus of Tokyo Denki University. This workshop was planned by IEEE Tokyo GOLD (Graduate Of Last Decade) Affinity Group and IEEE Japan Council WIE (Woman in Engineering) Affinity Group and held under the auspices of Student Branches of Keio University, Meiji University, Tokyo University of Science, Tokyo Denki University and Tokyo Institute of Technology. To see the report of this workshop, please go to Tokyo GOLD site. Three members in Japan received 2013 IEEE Technical Field Awards on July 10th, 2012.